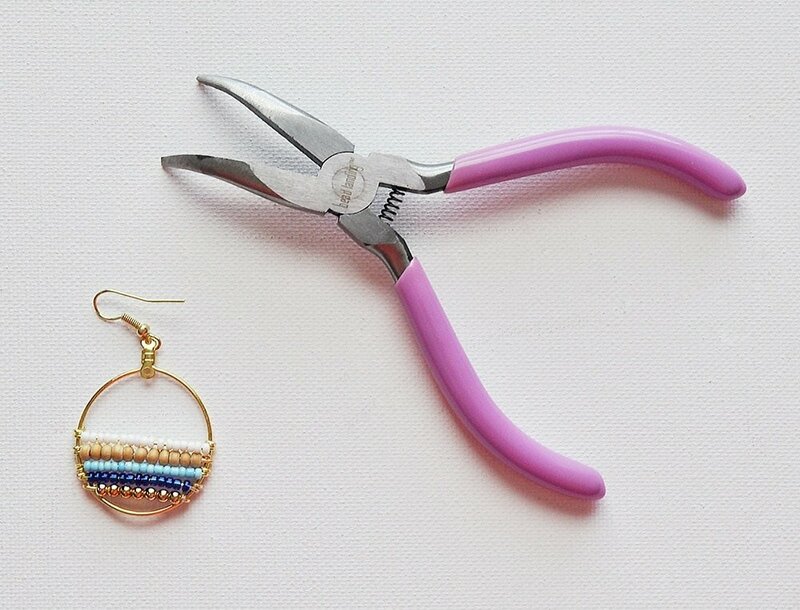 Learn to make these perfect for summer bright Beachy Bohemian Beaded Hoop Earrings in this easy step by step tutorial. 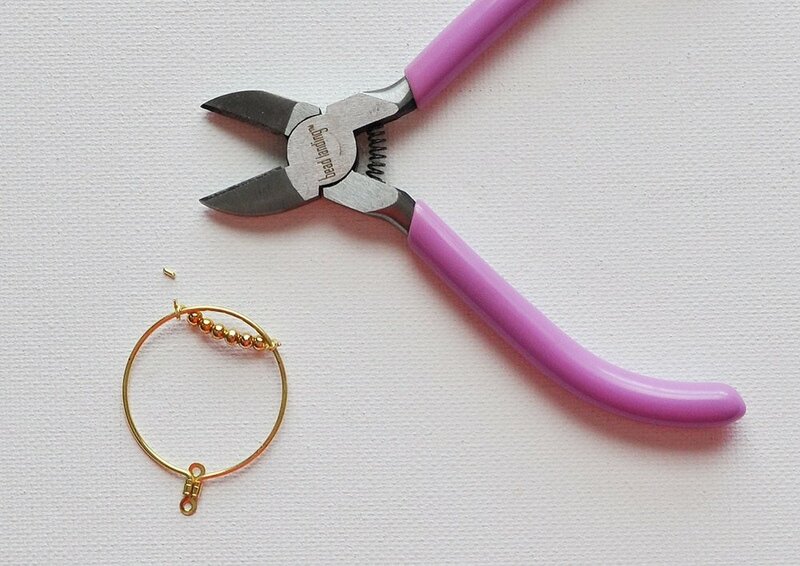 For more fun jewelry ideas see my Fashion + Jewelry page. 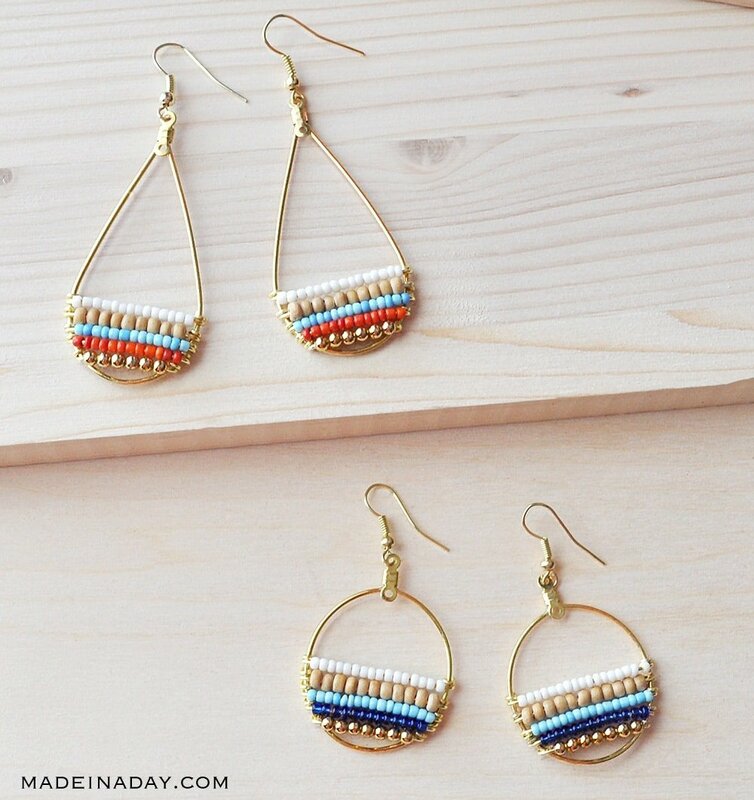 I surf the Anthropologie site monthly, they have some of the coolest looking jewelry, crafty stuff, and home decor. Some of their handmade goodies, however, are quite pricey. 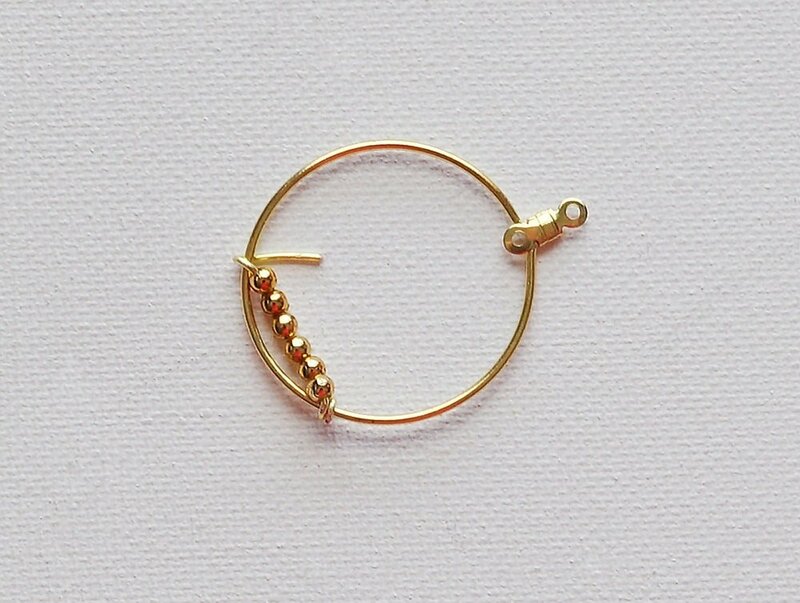 Every now and then I find something like these earrings. 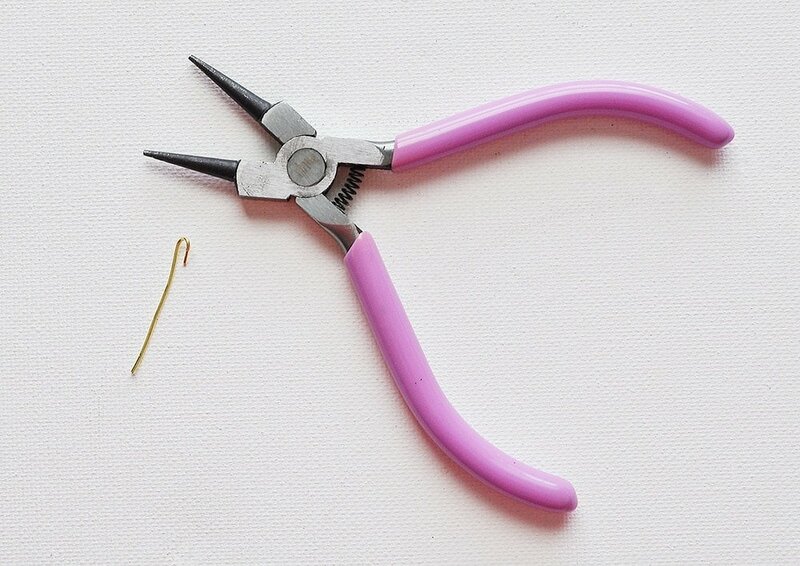 That I know I can recreate without it costing a fortune. 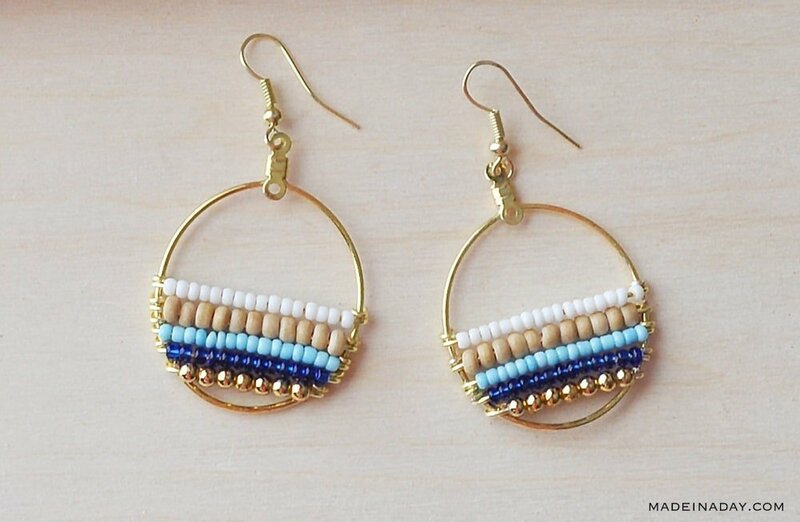 The pretty color layers of the seed beads make these beaded hoop earrings look so beachy boho to me. Follow along as I show you how to make these colorful layered beauties. 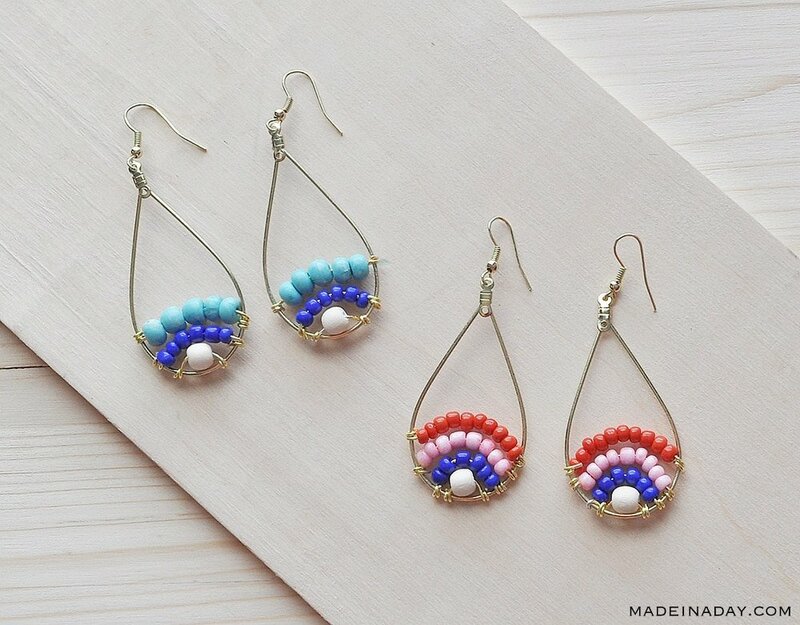 They are super easy to make, all you need are earring hoop findings, jewelry wire, and colorful seed beads. I love these so much I may need to make more colors too. 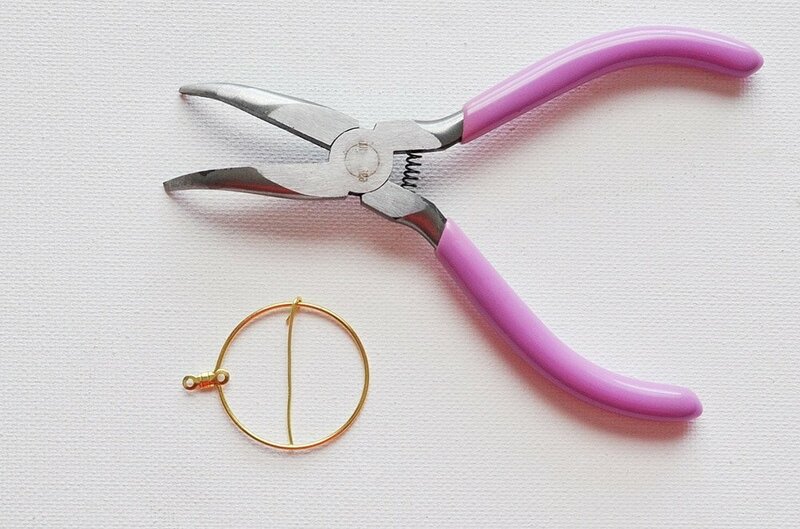 Let’s go make some trendy earrings! I also made a couple using larger beads. I hope you liked my tutorial! Now go make something great!